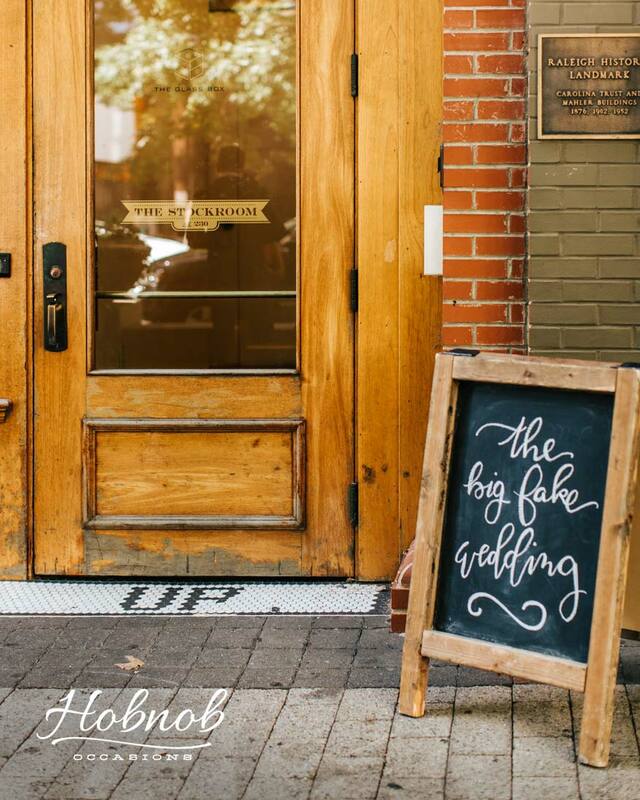 We were pleased to be asked to participate in The Big Fake Wedding last October at The Stockroom 230. 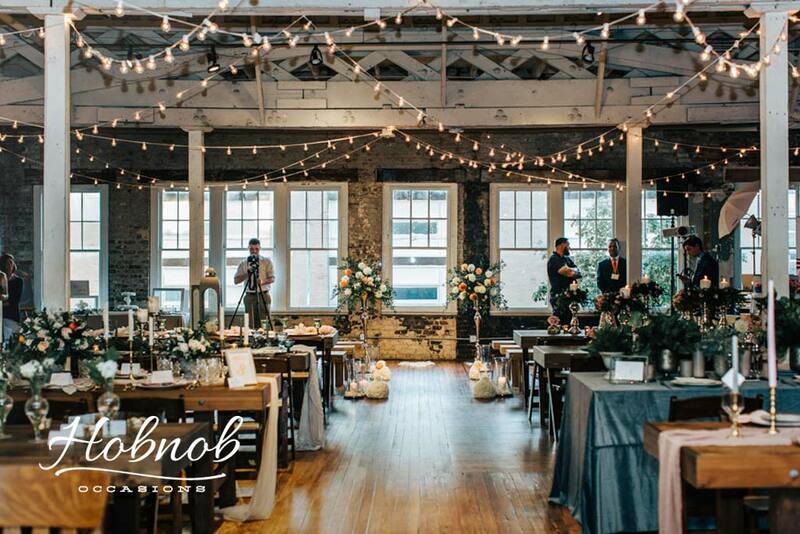 This bridal show alternative was a first for us and being part of the planning as well as a one of the vendors was so fun. 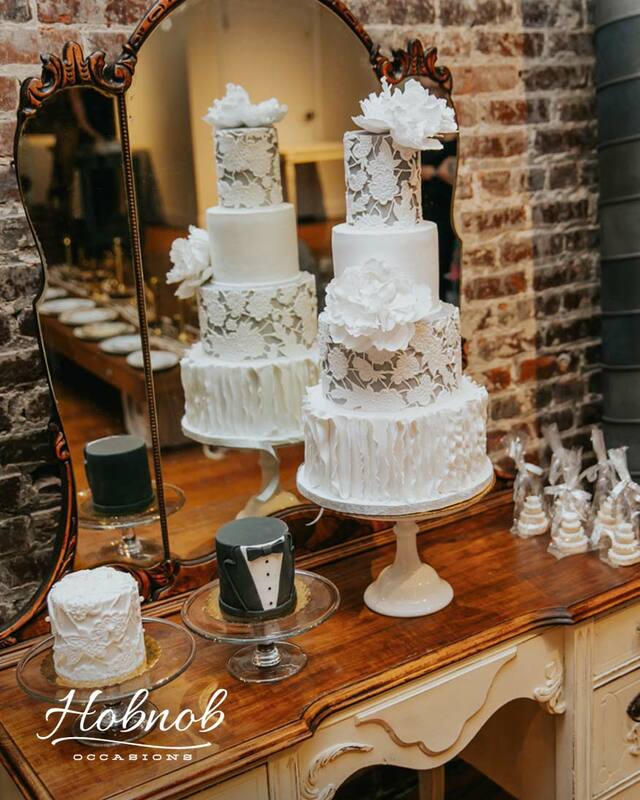 Plus we met some amazing people in the industry. 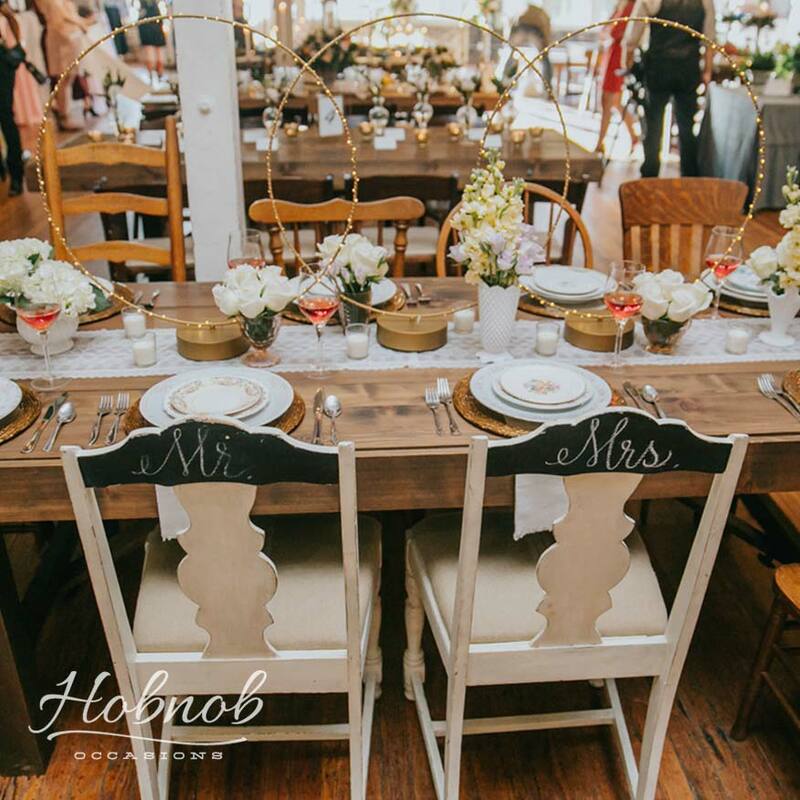 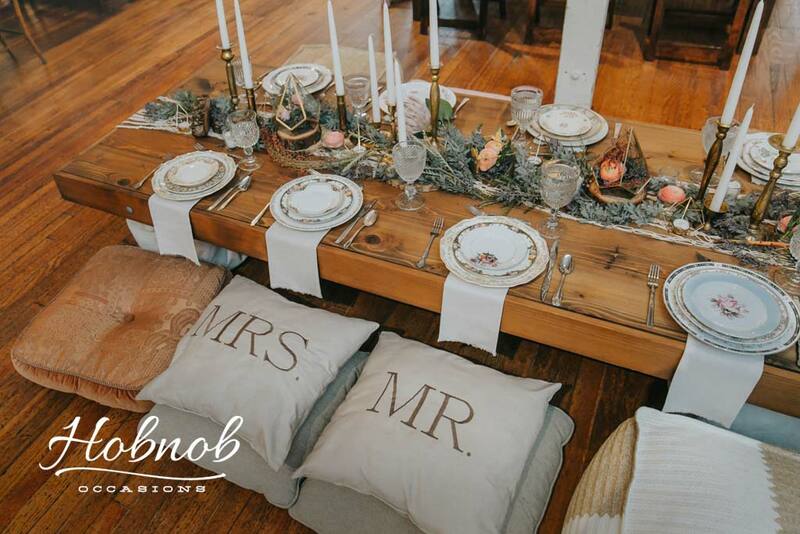 Hobnob provided all the farm tables that were styled by different vendors and our vintage rentals made up the soft seating area, the cake table. 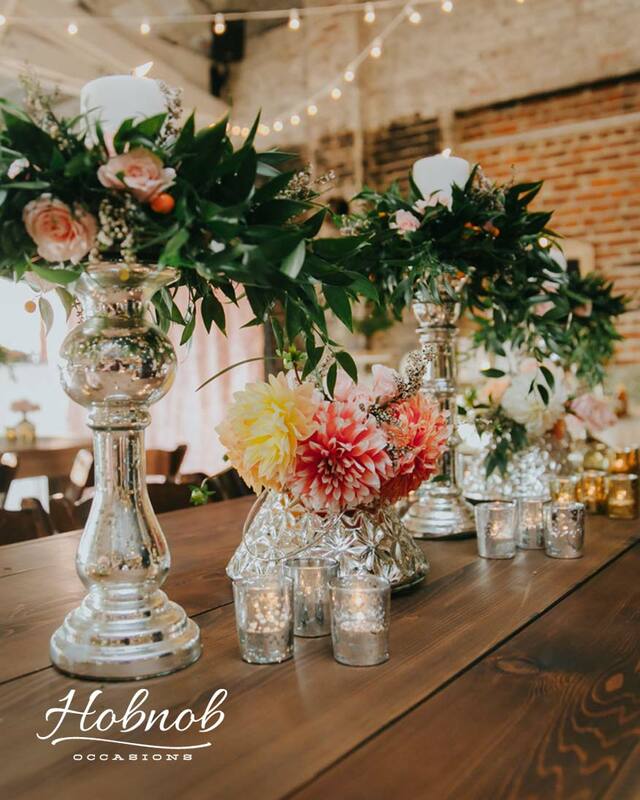 We styled 2 tables for the event – using all our own rental pieces. 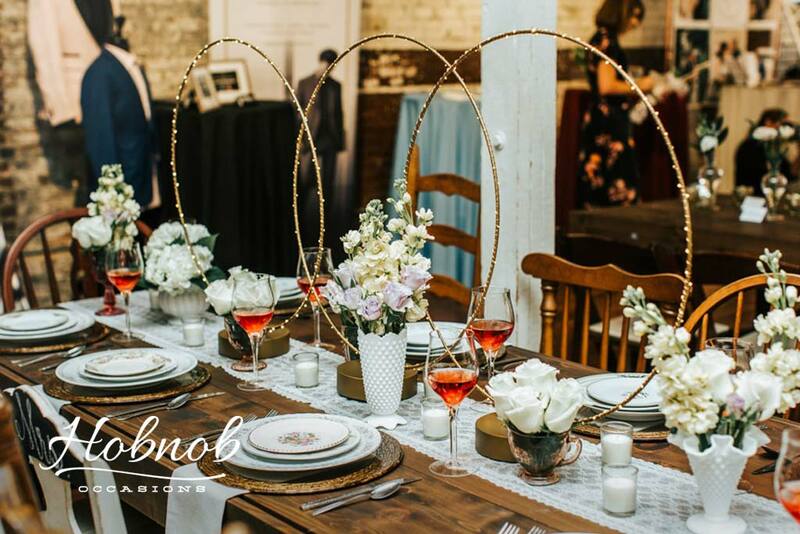 We chose a simple, elegant, timeless theme for one – adding our simple florals and lighted gold hoops to complete it. 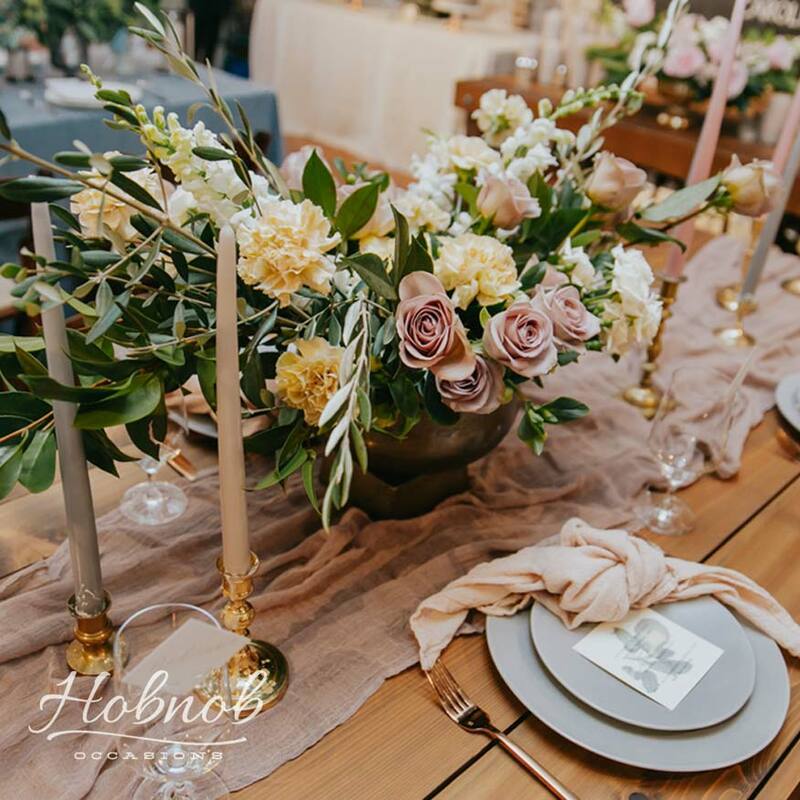 The second was a low table, complete with pillows, macramé table runner, brass candle holders and simple florals we did in our gold terrariums. 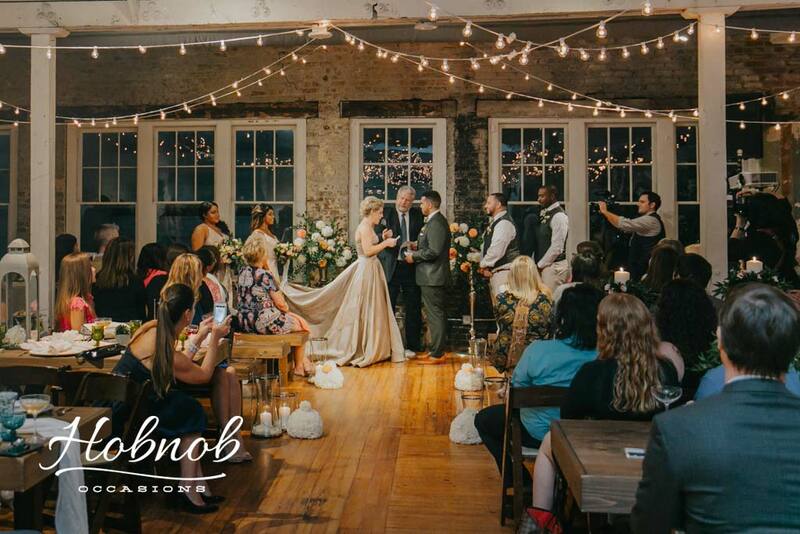 We LOVED it and so did the guests!